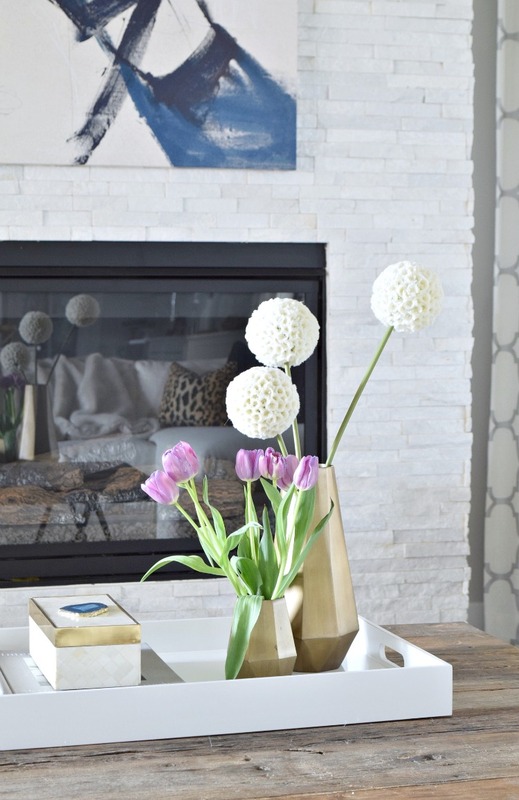 Spring is just around the corner and it’s been so warm this winter that a lot of us in the home decor community have been itching for spring decor even earlier than usual this year. Spring is by far my favorite time of the year to transform my home into a new season (yes, even over Christmas!) 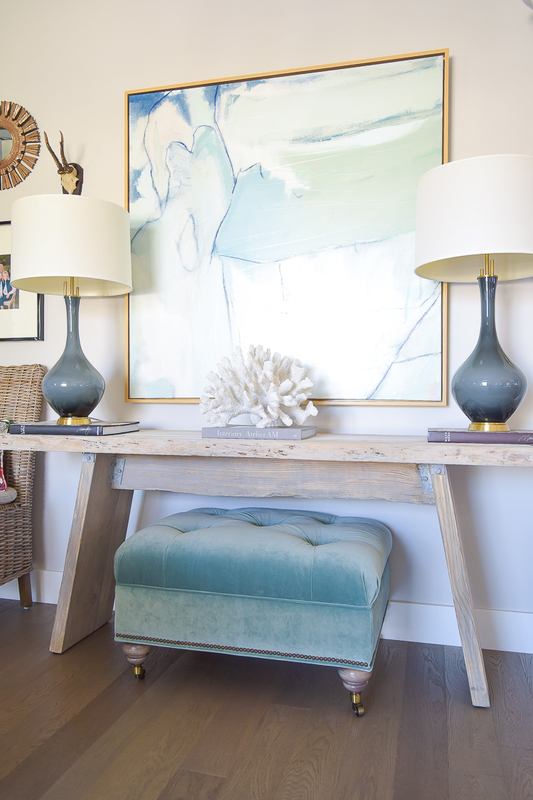 so I thought this would be a perfect time to share with you my 8 Chic Ways to Incorporate Spring into Your Home to help you get spring ready. 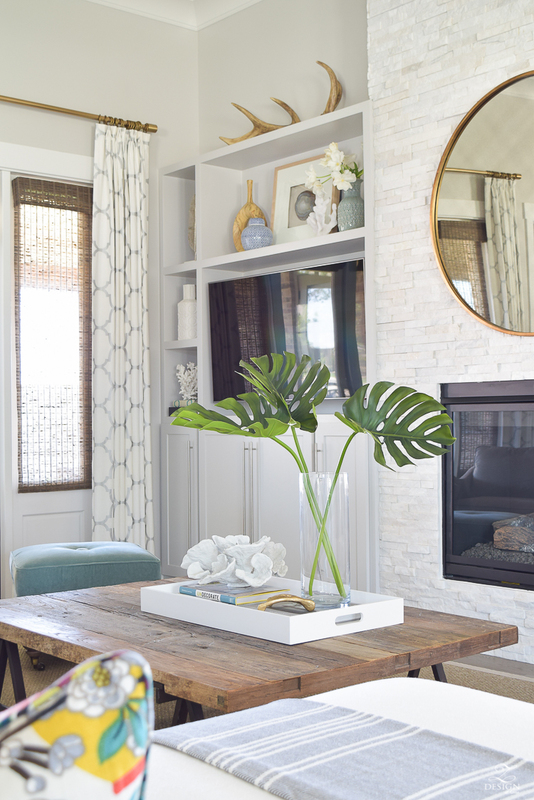 Everyone knows by now that updating your pillows and using greenery or fresh flowers to bring the outdoors in is a perfect way to update for spring but, here are a few other things you may not have thought of yet that I’m excited to share with you today. 1st up on the list is coral! I grew up on the beautiful white beaches of south Alabama and now live in the desert of west Texas but still pull my coral accessories out every year when spring rolls around. Coral is wonderful to decorate with for the texture it can incorporate into a vignette and for the interesting shapes they come in. And, there are lots of beautiful faux coral pieces available now a days that look so real you would never know the difference so don’t forget about this spring beauty no matter where you live. 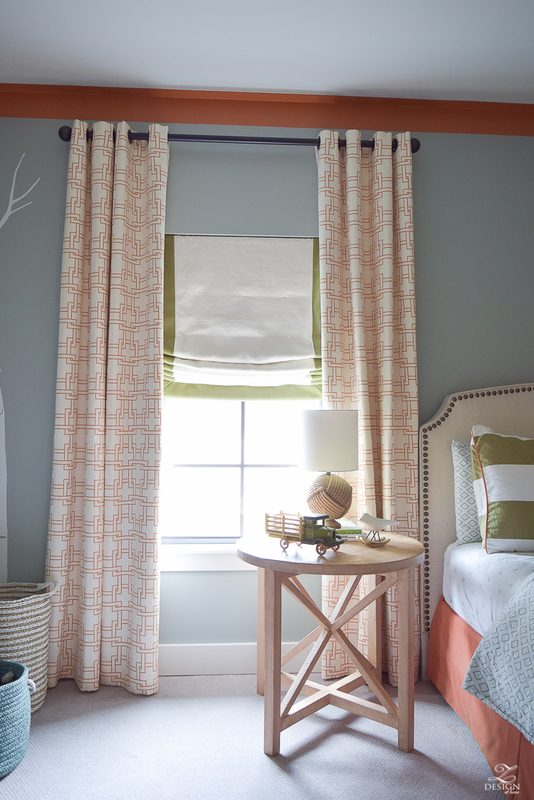 Here are a few ways I like to use this perfect spring accessory in my home. Secondly, you may have noticed the agate art in the previous photo?! Not only is art a great way to decorate seasonally but ever since agate pieces (whether art or accessories) came on the scene strong last year, they have become a favorite way to decorate for many. Agate comes in some of the most beautiful, vibrant colors I have ever seen which makes it great for decorating with this time of year. In the past, agate items have been somewhat hard to come by but lately I’m noticing more and more art and accessories as it becomes a solid staple in design. You can see my dining room reveal from last year HERE where I used a beautiful piece of Minted.com art to update my space. This agate piece is just one piece from a set of agate coasters that I simply placed on top of my bone inlay box (similar) for a pop of color. 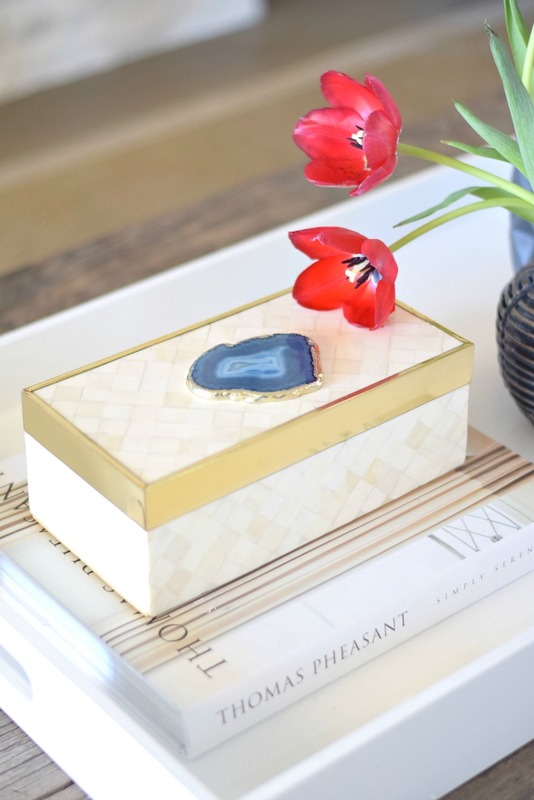 Inside the box is stored the remaining coasters but outside of the box it’s feeling a little more like spring with the bright blue agate piece adorning it. I’ve sourced some below that come with the agate piece attached to the box. Thirdly, one of the best ways to bring spring into the kitchen is through cute and colorful hand towels (of course with fringe). Nothing brings a smile to my face more when it comes to decorating in the kitchen! 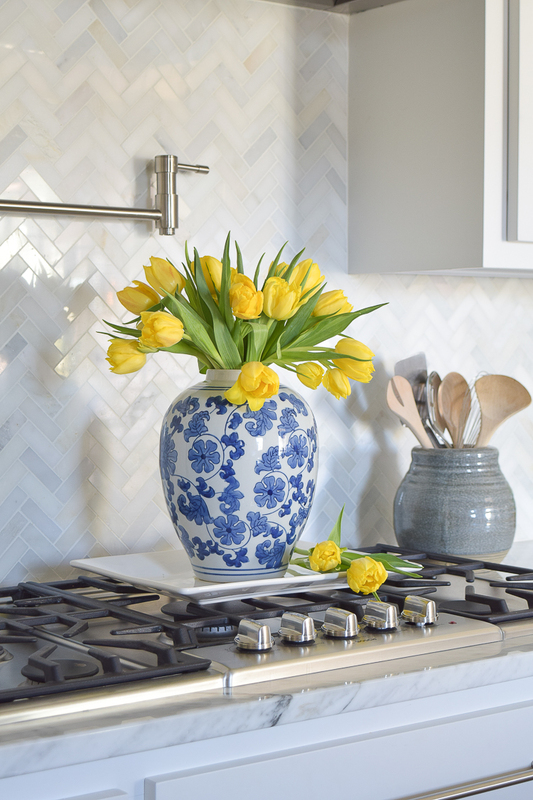 Everything in the kitchen is a hard surface so to introduce something soft with color this time of year is the perfect way to bring spring in. Cute and colorful dishes is definitely another favorite way as well. 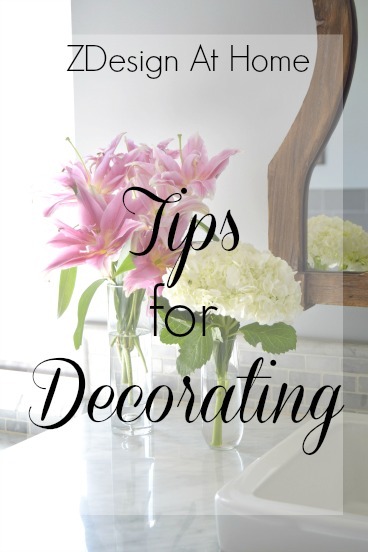 Fourth, you may have seen the adorable celadon, patterned vase holding the white tulips above and this is one of my absolute favorite ways to decorate for spring. 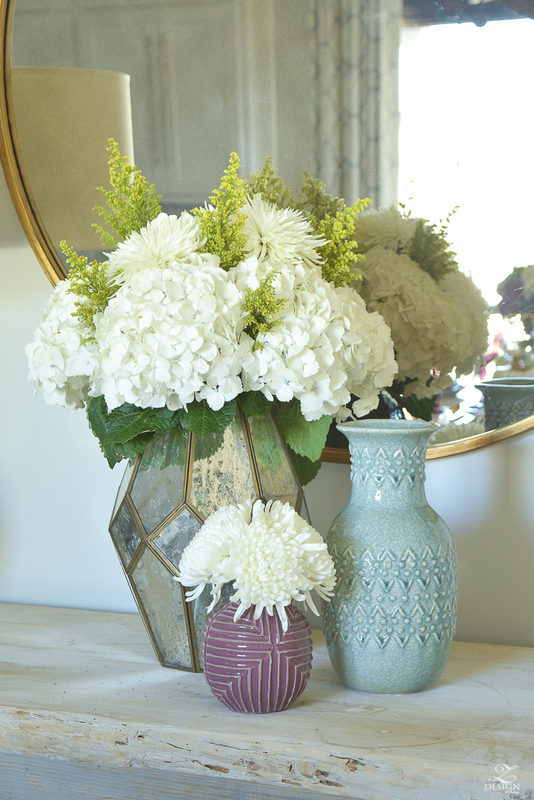 Whether you love fresh flowers like I do or would rather opt for faux (which I do as well), a colorful vase is the perfect way to spread spring around the house. 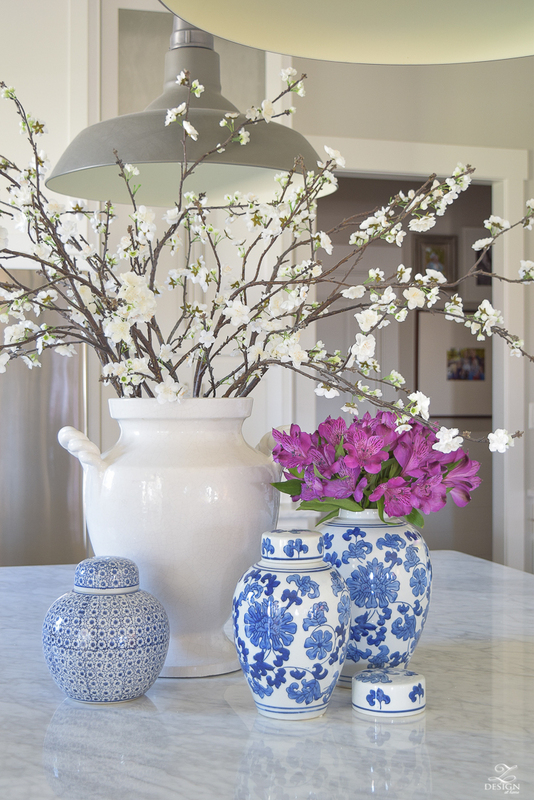 The blue and white chinoiserie vases are some of my favorites. 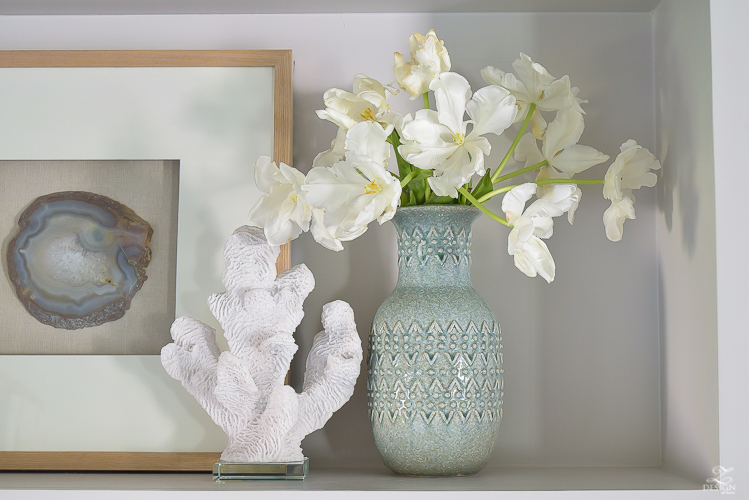 Here is the celadon vase again with the tulips. It brings such interest into this vignette with it’s color and pattern and makes the bookshelves feel spring ready (2016 spring tour HERE if you haven’t seen it yet)! 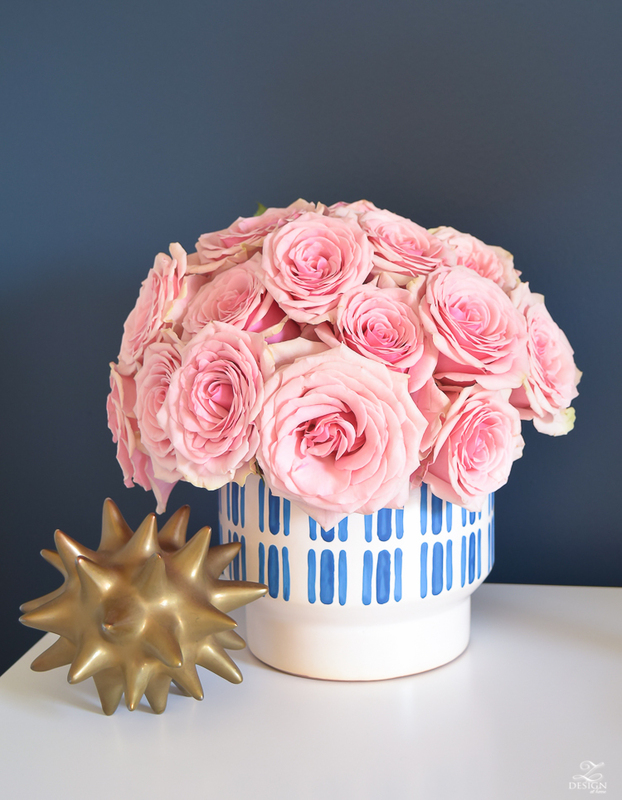 This little vessel stole my heart the moment I saw it when I was searching for accessories to update my guest room (guest room update HERE if you haven’t seen it yet either)…I knew it would be just perfect with pink roses in it!! Fifth and last but not least, bringing green into your home is the best way to welcome spring. The twist here is that greenery from your local florist or your yard can die off quickly and can be messy so this year I am trying something completely different and will be using more natural succulents and air plants. They are so low maintenance and only require a little water once or twice per week depending on the specimen. 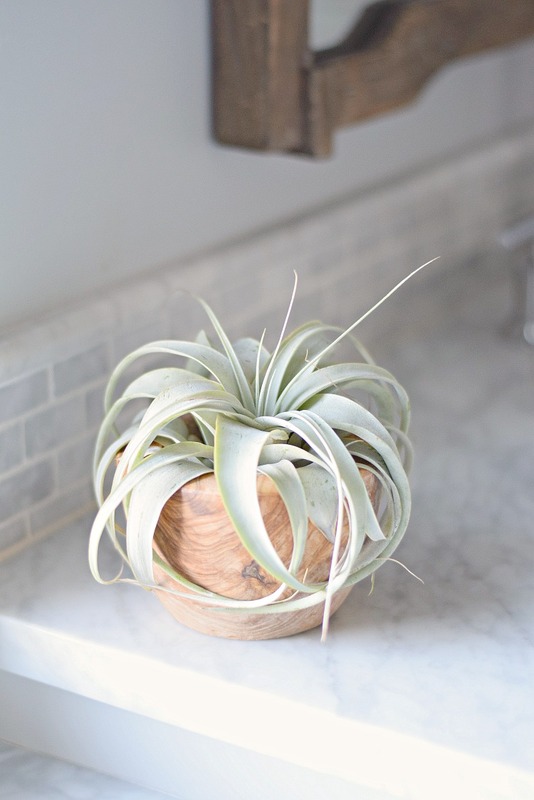 Sometimes they don’t even need a pot and work perfectly used with an on trend terrarium, or look and feel so organic sitting inside of a wooden bowl. And of course good faux succulents are always a great option as well! Driftwood is yet another great favorite of mine to mix things up and to bring nature in for spring! 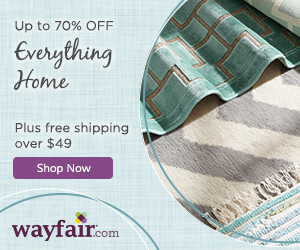 The texture and color feel so organic making the perfect spring accessory! Decorating with rope can always give a space that nautical feel that takes you into spring and summer. I love using it any time of the year but spring/summer is my fav of course!! 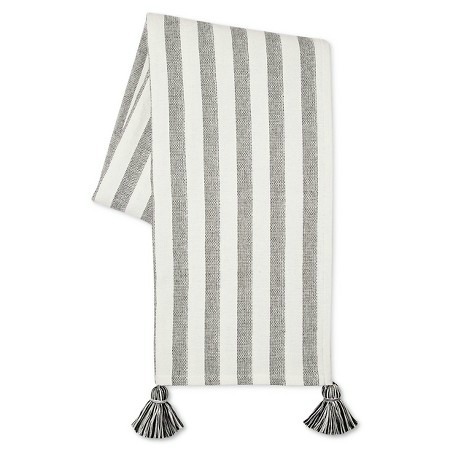 Throws are kind of a typical item to switch out for the different seasons but there are so many great ones out there right now that are adorned with fringe and tassels that I had to share a fun round up! There is something about fringe and tassels that makes me smile just like spring does so I couldn’t resist. I shared this throw below on my Instagram stories yesterday and had several inquiries so I thought I would share it here as well. I’ll be using it soon in one of my spring tours so stay tuned!! 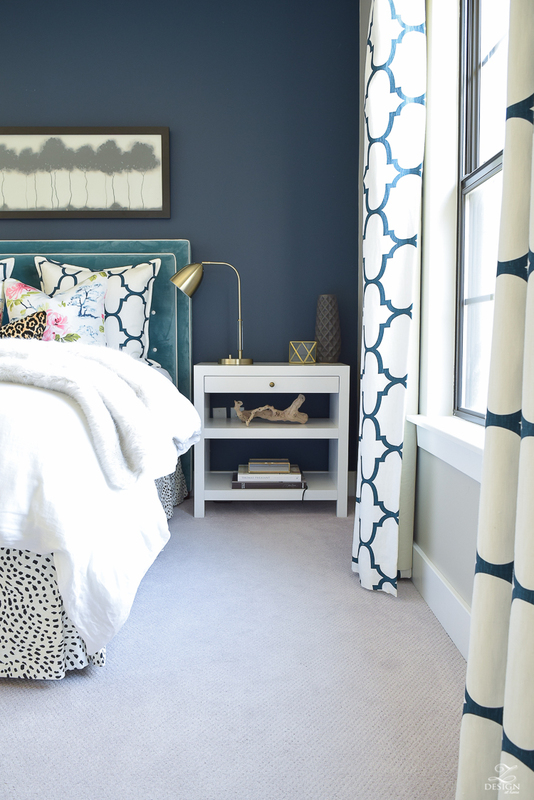 I hope this post was somewhat helpful by giving you some ideas for spring updates. 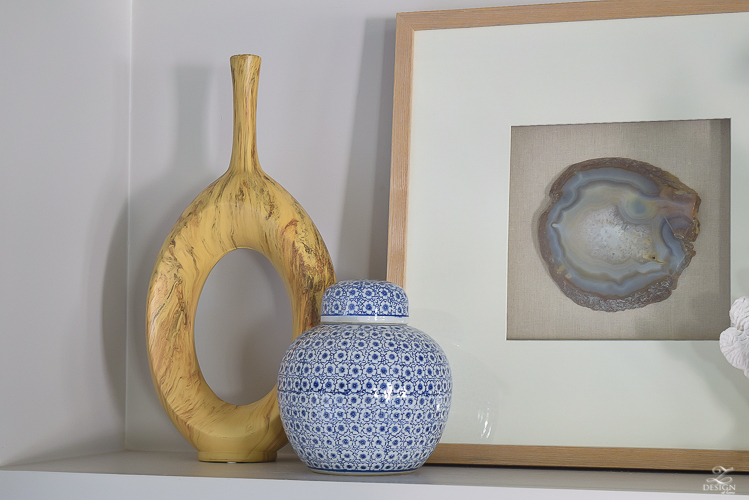 Do what feels right to you though when decorating your home…I’m a firm believer that any accessory or piece of art should speak to you before placing it in your home so always remember to do what you love when it comes to your home and not what everyone else is doing;)! 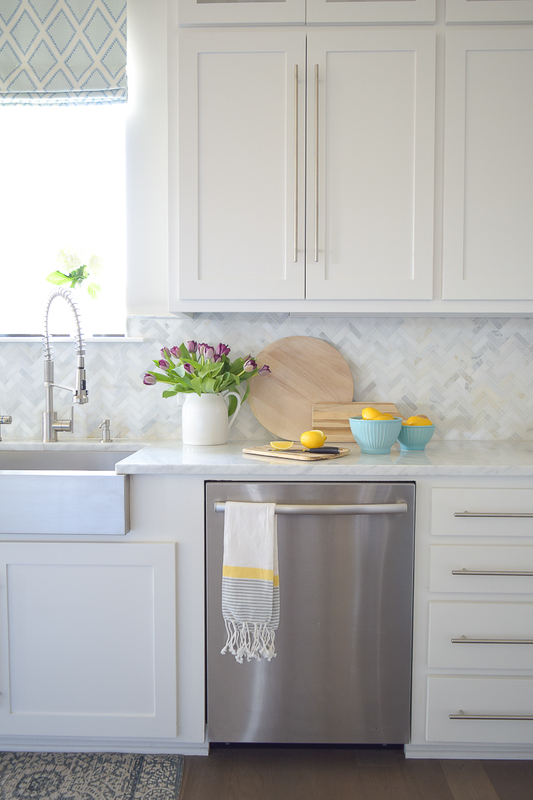 I love the idea of using vibrant hand towels, especially in the kitchen! These are wonderful tips! I can’t wait for Spring! I’m so done with snow and the winter blahs. 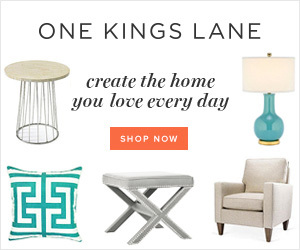 I need to do some decor shopping for some of these ideas! Thanks Bree! Bree this post is perfect!! 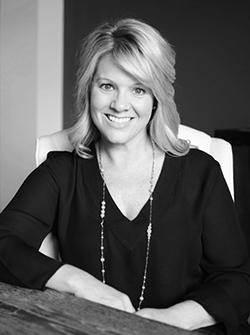 I love all of your tips – everything you do is always perfect on point!